I haven’t touched Cisco VOICE product ever since 2008. 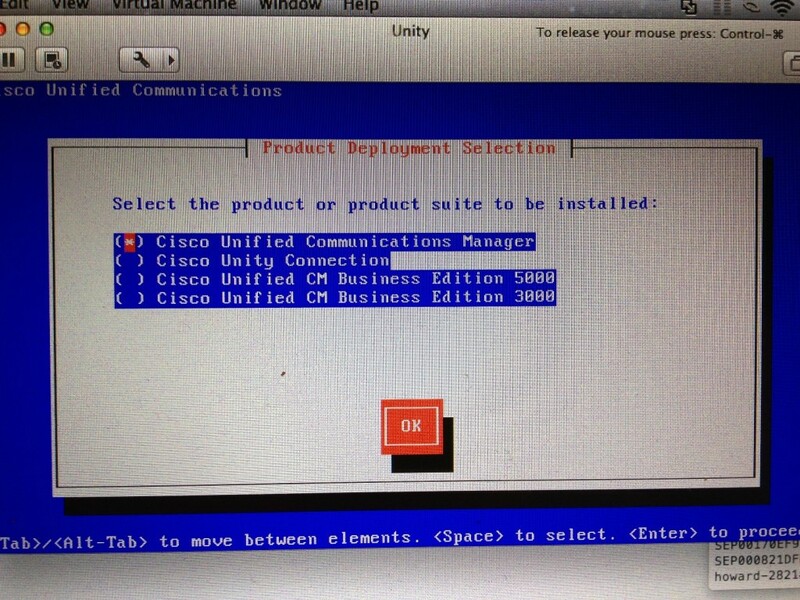 The last time I used CUCM (it was called CCM) was in 2008 while Cisco Call Manager was still in version 4.3. Technology has changed a lot since, Cisco has released CUCM 5, 6, 7, 8. and by end of 2012, they are releasing CUCM Version 9. I think it’s time for me to catch up the technology. I am not going to do a CCIE Voice, however, I have to at least make myself familiar with the CUCM product. Hence, I have asked the company to get a NFR CUCM Kit for me to play with. 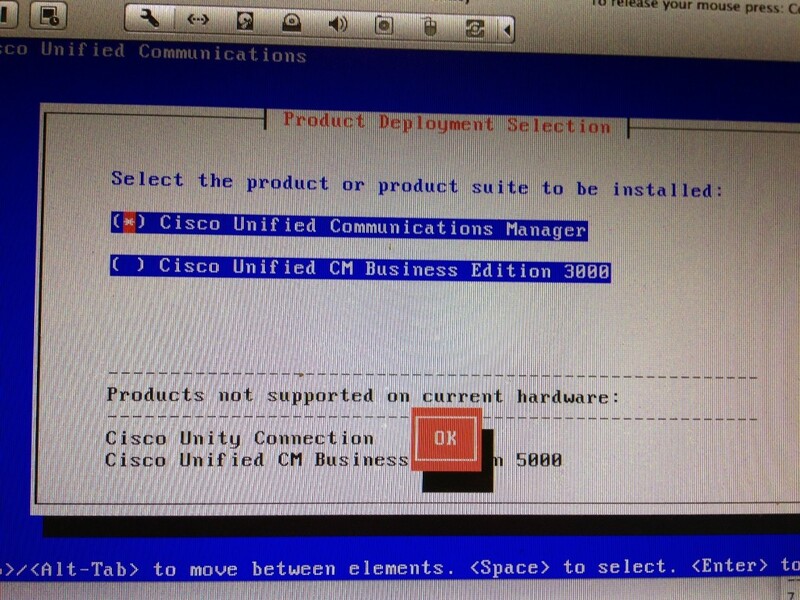 I have installed the CUCM 8.6 and Cisco Unity Connection on the VMware fusion 4 (for Mac OS). It was a bit tricky when I trying to install the Unity Connection, as it keep on saying the Hardware (VM Setting) doesn’t support it. If you are looking at setup a Cisco Voice Lab, I suggest to use the following setting. You can see the different of the setup screen if you have different Hardware setting. This entry was posted in Network Engineering and tagged CUCM, unity connection, vmware. Bookmark the permalink. Thanks for this wonderful blog. I am a newcomer to Cisco voice and just finishing my CCNA Voice training. I have a Macbook i5 with 8 gb RAM. I have installed a virtual CUCM version 7 but have lots of issues with it. I can’t access the CUCM as I have no loopback address and can not access the virtual (Red Hat Enterprise) Linux box I have that has the CUCM v7. Can you please help me with how to do the networking side so that I can browse to the CUCM via a web browser. I have been reading about tap driver and loopback (http://forum.gns3.net/topic2739.html and http://www.blindhog.net/how-to-build-a-voice-lab-with-gns3-and-vmware/ ) for sometime now and have not been successful to get the virtual linux box and my macbook to communicate. I have configured the CUCM box with IP address 10.1.1.10 but can’t even ping. I have read from various web sites that I need a loopback and a router setup in GNS3.